I remember 1993 as if it was yesterday. The World Series was won by a Canadian team, the Toronto Blue Jays. Canada also took down a Stanley Cup, something they haven’t done in a while, via the Montreal Canadiens. It was the year of “Got Milk?” and Mrs. Doubtfire was outclassed only by Jurassic Park in the movie world. 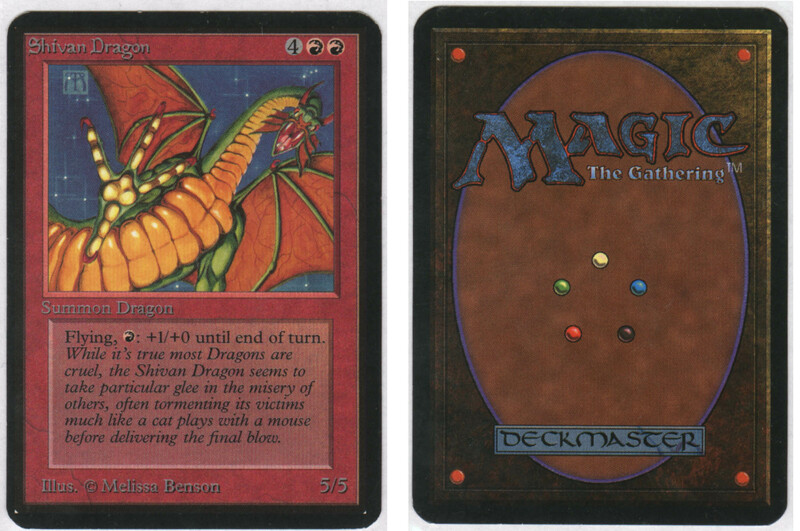 According to http://www.pop-culture.us/Annual/1993.html, “The Habit” of 1993 was a little collectible card game called Magic: the Gathering. 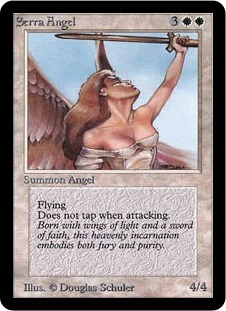 Anyone who played Magic in the early-to-mid 90’s remembers wishing this card was in every pack they opened…ok this isn’t precisely the case, but I sure remember wishing I owned a copy of this top-end creature. Even now, 20 years later, I feel incredibly nostalgic when looking at my favorite classic cards. That nostalgia is my primary motivation for maintaining a separate “not-for-trade” binder. The binder isn’t about value, though there are certainly some valuable cards inside. It’s more about cards I’ve enjoyed as a kid or cards with artwork I love so much that I want to keep a copy of the card forever. In the “New Age” of Magic — Modern Masters 2015 reprints, flashy sets filled with Dragons and computer-generated artwork — my nostalgia for classic cards and art grows continuously. First, I am 100% confident you will be inundated with Modern Masters 2015 articles throughout the week. From strategy and how to build a sealed pool to what cards to sell immediately to what cards to acquire, it’ll all be covered by my esteemed colleagues here. While I could be content to share my thoughts, I suspect they’ll overlap tremendously with the rest. Frankly, I’d prefer to write something unique that will bring new perspective to MTG finance. Second, I suspect there is some very relevant financial information associated with this nostalgic phenomenon. More and more players are talking about older cards and I’m noticing my Twitter feed is filled with this buzz. But there’s no explosion of interest yet – I would go out on a limb and suggest this isn’t even as big as Tiny Leaders, which is arguably more hype than actual format. That being said, getting into this format on the ground floor is absolutely critical. Don’t care about a nostalgic format? Too young to remember casting Juzam Djinn and Hypnotic Specter? This may not be important. I’m not here to sell you on a (yet another) format; I’m writing this column to drive awareness of a small trend with potential for profound financial impact. This is about getting in front of the curve. Doctor Superstition (@DSuperstition) is an active member of the Old School Mtg community, and he’s been tweeting some curious observations of late. These comparisons fascinate me. They may not be incredibly successful in converting players to Old School MTG, but they present some intriguing, hypothetical trades — even highly relevant trades, considering all the MM2015 booster packs that are about to be opened. 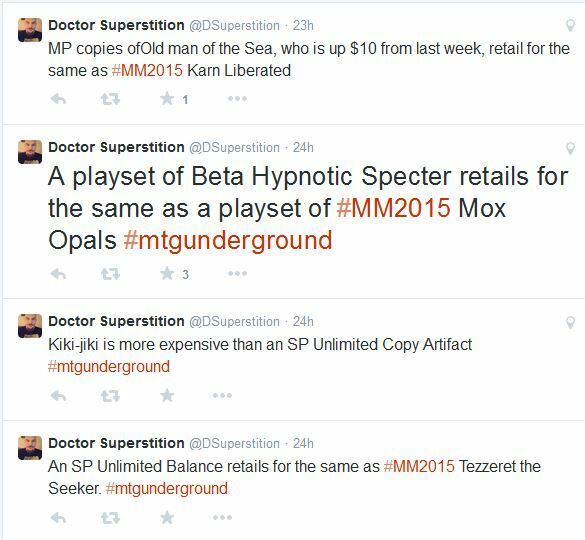 Imagine opening a Mox Opal at GP Vegas, only to be offered a Beta Hypnotic Specter in trade for your sweet pull. Would you do it? As Doctor Superstition pointed out, the two cards have roughly the same value. But looking at the charts above, which one would you rather sit on for the long term? 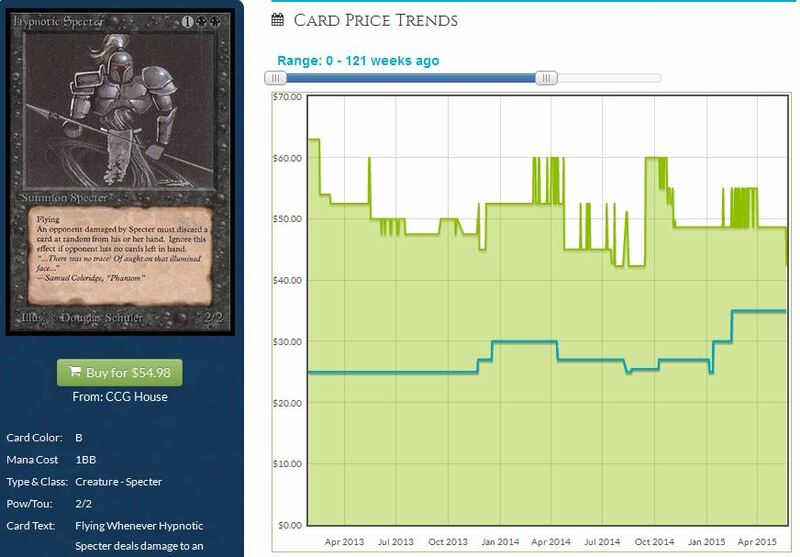 The “ah-ha” observation comes from looking at other charts for Old School Mtg cards alongside the current stock of major retailers such as Star City Games. Consider Tawnos’s Coffin, for example, which is seemingly sold out across most the internet. This is the buyout that no one is talking about. The Antiquities artifact is sold out mostly everywhere, and you can see how both the value and buy list price jumped simultaneously, a sign of very positive upward momentum. 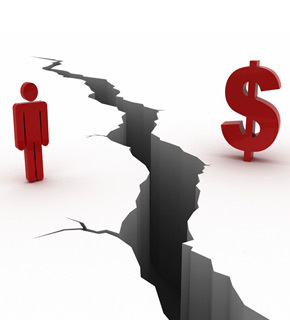 This isn’t some forced buy-out here – this is a move backed by retailers. And you can bet the farm that when SCG restocks this card, it’ll have a much higher price tag than its current $24.99 one. Of course, the trend on Tawnos’s Coffin could be a fluke. It’s a powerful Commander card, so maybe people are finally discovering it? It’s plausible, but I don’t believe Tawnos’s Coffin is the only old-school card suddenly gaining interest. This is one I’ve been highlighting on Twitter lately. 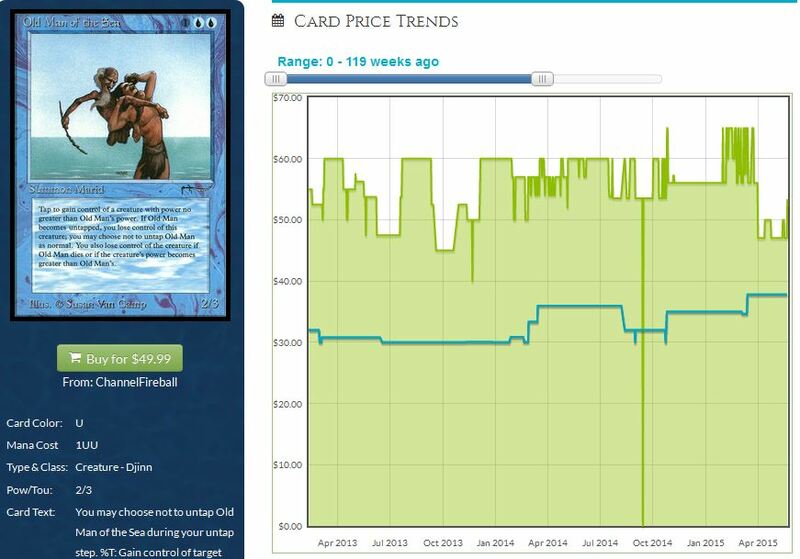 Old Man of the Sea’s price seems stagnant when looking at the green curve. But when you assess the blue curve, indicating top buy list price, you can see a noteworthy incline. Retailers are having a tougher time keeping this creature in stock, and it won’t take much to see a sudden spike here as we did with Tawnos’s Coffin. Though it’s worth noting Star City Games has nine total copies in stock with NM listed at $59.99 (this is $10 higher than the price was a month ago). 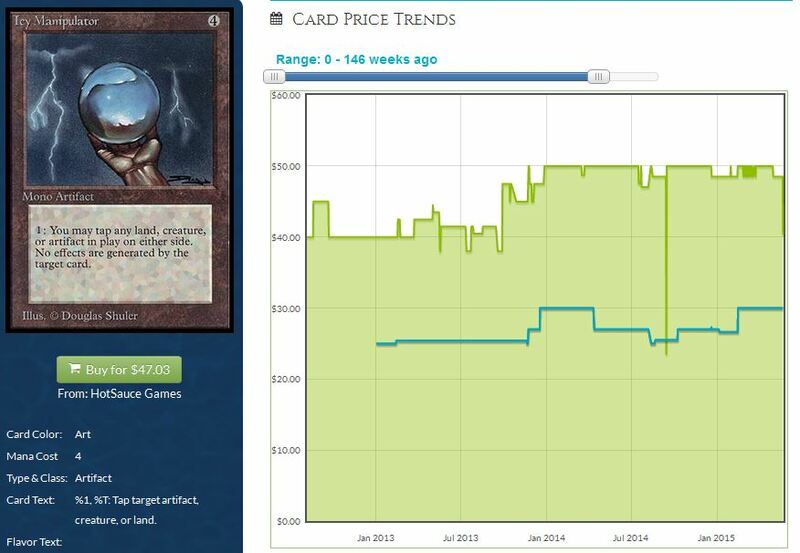 One of the neatest Old School Mtg card is Chaos Orb, which has also seen significant buy list increases over the past couple years, including one earlier this year. I hear it’s not easy to keep nice copies of this rare artifact in stock. Star City Games is completely sold out of the most affordable Unlimited version, with a NM price of $99.99. This card seriously deserves more attention than it is currently getting. The three examples above highlight an important trend – these nostalgically popular cards are destined to increase in price. This should come as no surprise to people. 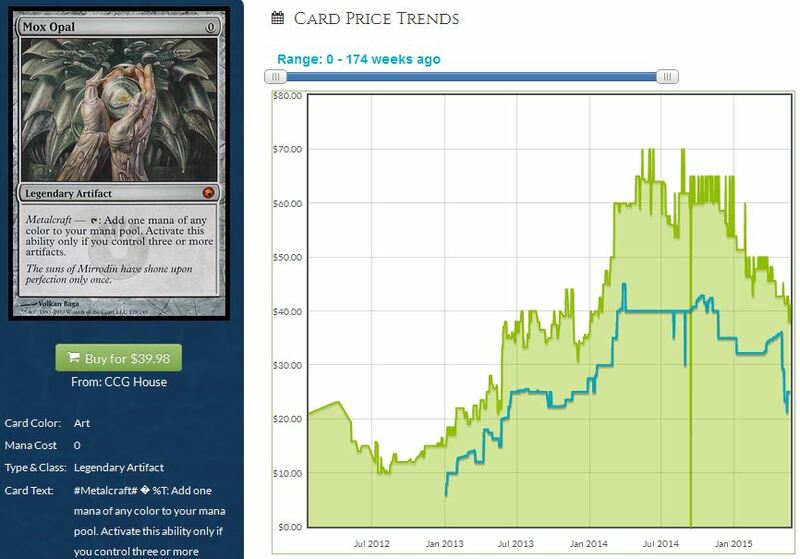 What’s critical to consider, however, is the potential impact an Old School MTG format could have on some of these prices. Let’s face it – there aren’t many Chaos Orbs and Tawnos’s Coffins out there. 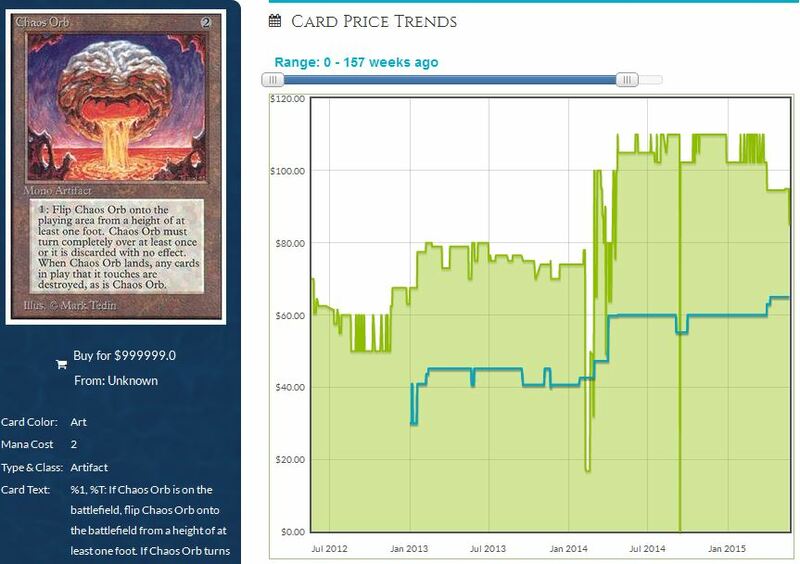 Any spike in demand, no matter how small, could have a profound impact on card prices. I’m not here to incite a buyout. If people were to suddenly start speculating on these cards like they did on Tiny Leaders, it could prove detrimental to the health of Old School MTG. Availability is a major consideration here. But I am trying to inspire you to consider adding a few of these cards into your MTG portfolio. They provide tremendous stability with significant upside. In fact, I’d probably rather have a few Chaos Orbs than, say, a couple booster boxes of Modern Masters 2015. I believe there is much greater upside and lower risk to the former. MM2015 boxes may be good investments eventually, but with so many unknowns right now in this unprecedented time, I can’t help but encourage caution. Thus summarizes my strategy heading to GP Vegas. 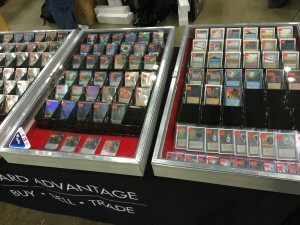 Some players will be anxiously dumping the pulls from their MM2015 booster packs. Others will be keenly aware of dropping prices, attempting to pick up their Tarmogoyfs and Vendilion Cliques at a favorable price. While I have a short Modern shopping list myself, I’ll be most interested in picking up some of these older cards. The reason for this move has nothing to do with my desire to play Old School MTG (although it does sound like a fun format). Rather, I’m noticing a gradual trend towards these nostalgic cards and I recognize that any spurt in demand could lead to drastic price fluctuations. A small surge in Tawnos’s Coffin interest has caused one retailer to double their buy price overnight. ABU Games and Star City Games are two vendors that do not like being out of stock of these older cards – if that trend occurs too frequently, they WILL up their buy prices. By keeping an eye out for deals now, and trading strategically into some of these nostalgic cards over time, you set yourself up for strong portfolio growth going forward. And if this 93/94 format ever does grow legs, you could be looking at some surprising double-ups. Even if that doesn’t happen, collecting stuff like Guardian Beast and Island of Wak-Wak is just plain fun. With most of these cards also being on the Reserved List, you can be confident your investments will, at a minimum, hold their value. Cards like these remind me of what initially got me into Magic. Collecting these cards and then making bank on them would just be icing on the cake. I mentioned Guardian Beast towards the end of this column. 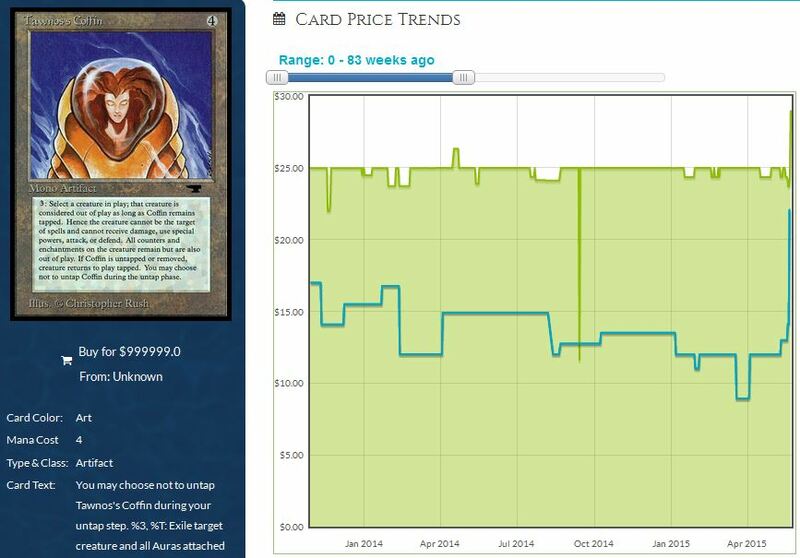 The Arabian Nights creature has increased in value by about $10 over the past year. But what really interests me is the top buy list price, which has been steadily increasing throughout 2015. SCG has three total copies in stock, with zero being NM ($79.99 price tag). If you want a copy, why not trade into one soon? Dark Ritual has been printed a billion times. You can find hundreds of copies for $0.50 throughout the internet. But how many Alpha copies of the black instant can you find? None at Star City Games, where they are sold out with a $39.99 price tag. Yet again I see the top buy list price steadily rising over the past 6-12 months despite choppy action in estimated value. I have to imagine this card is a power-house in Old School MTG, and definitely worth keeping an eye on. Speaking of cards that have been reprinted a ton, City of Brass is also worth closer inspection. The original printing of this Nonbasic land has been on a steady incline over the past couple years as well. Did you know this card retails for $79.99 now?! Star City Games has a handful of copies in stock, but finding NM copies can be quite difficult! BONUS TIP: Want to go real deep? Reviewing some of the top decks of the 93/94 format, it looks like Su-chi is a popular card. The artifact creature is an uncommon from Antiquities, so it’s not as difficult to find as some of the other cards I’ve mentioned earlier. But the top buy list price has jumped from $2 to $3 earlier this year. SCG has 17 total copies in stock, with only 1 being NM at $5.99. It probably wouldn’t take much to manipulate this card’s price, but I’d much rather be in the camp of obtaining my set now and sitting on them for a couple years.